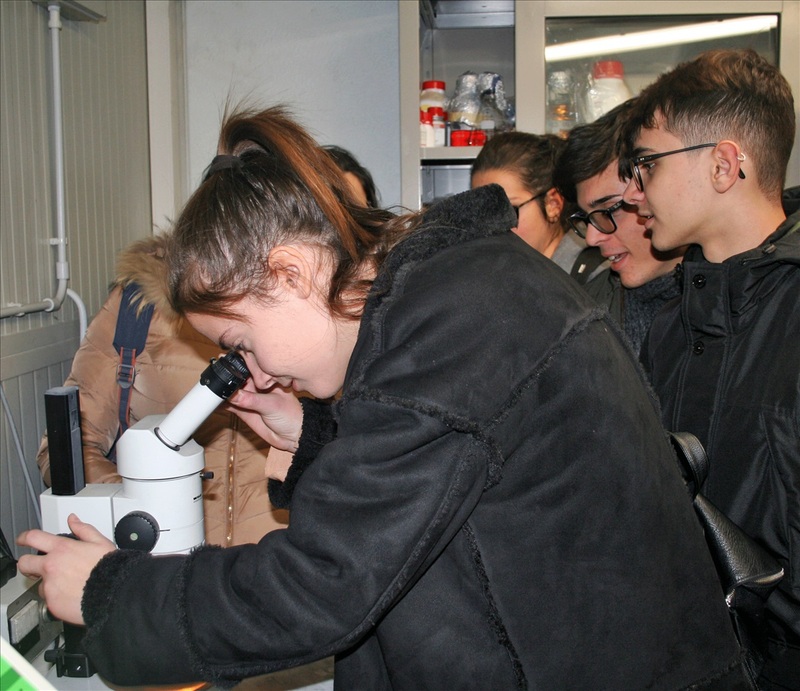 18 students of the High School “G.Galilei” of Bitonto, one of the most important cities for olive oil production in the Apulia region, participate to a study/work experience to learn more about Xylella fastidiosa. 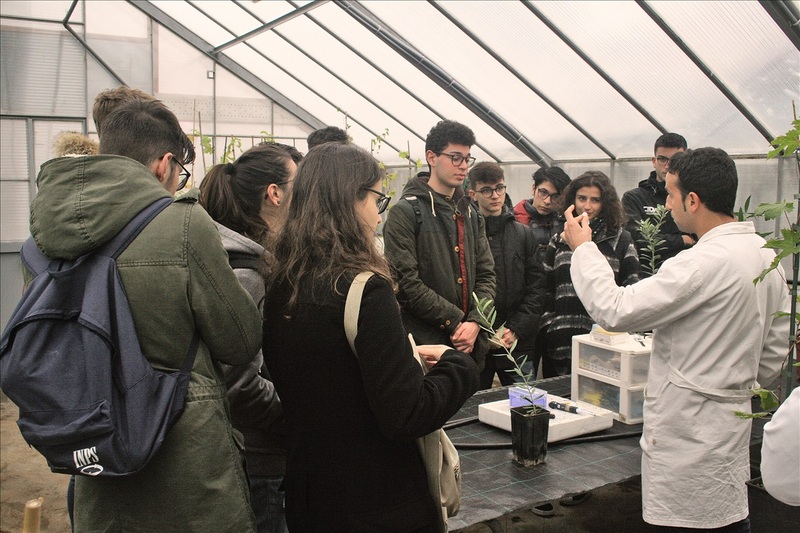 The course is organized by the Institute for Sustainable Plant Protection and the University of Bari within the framework of the EU-funded project XF-ACTORS. The professions of biologist, agronomist and researcher, and the specific theme of Xylella fastidiosa, are the focus of a project of study/work conducted by the Institute for Sustainable Plant Protection of Bari (CNR-IPSP), together with the University of Bari and the High School “G. Galilei”, in the municipality of Bitonto. Located 20 km away from Bari with 55 thousand inhabitants, Bitonto is one of the most renowned cities in Apulia (Southern Italy) for the production of olive oil, thus seriously concerned by the issues related to Xylella fastidiosa, a bacterium that causes important plant diseases including the “Olive quick decline syndrome”. Enlarging the knowledge on the bacterium is therefore of crucial importance for the economy and the future perspectives of the Apulian territory. Started in November 2017, the project involves 18 students of 16-17 year old (4th year at High School) in a 65-hours training that blends a combination of research and action on the topic of Xylella, in order to provide valuable information on the pathogen together with an overview of the scientific methods and the tools and activities of scientific dissemination. During the first phase of the training, under the guidance of the science teacher Dr. Irene Elia and researchers of IPSP, the students participated to a wide array of activities: frontal lectures about disease, vectors, hosts, monitoring techniques and containment strategy; a practical training at IPSP lab to discover diagnostic techniques; two days in the Salento territory where they visited experimental fields and met journalists and stakeholders directly facing the damage caused by the spread of the bacterium. In particular, the meeting with the stakeholders (farmers, growers, olive and olive oil producers) allowed the students to understand the economic and social impact of the epidemic for the territory. The second phase, that will last until the end of the school year, will include the preparation of technical elaborates (texts and PowerPoint presentations with images and videos) and the organization of public meetings to be directly conducted by the students. These meetings will have the aim to inform the olive/oil producers and the public administration of Bitonto about the psychopathological emergency in progress and the mandatory containment measures, as well as to raise awareness about the importance to adopt surveillance and prevention activities.